Santa fills up on cookies and milk on Christmas Eve, but what about the reindeer? Make sure Santa can find YOUR house this year with Magic Reindeer Food from Wells Brothers. Bring the kids by Wells Brothers, now through December 24th at 3:00 p.m. and pick up a FREE* bag of Magic Reindeer Feed. 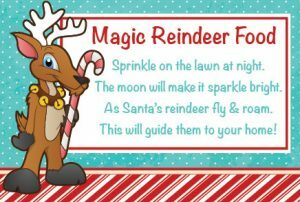 Take it home and sprinkle the reindeer feed on the lawn Christmas Eve to make sure the reindeer have food to eat for their long journey! Keep an eye on Santa’s Reindeer here. Start a tradition with your kids this year and come to get a bag of FREE Magic Reindeer Food, at Wells Brothers Pet, Lawn & Garden Supply in Plano, Texas. Save on NutriSource Grain Free Chicken Dog Food in December at Wells Brothers, Pet, Lawn & Garden! Feed your best friend the best nutrition available. NutriSource Grain Free Chicken Dog Food is made with premium ingredients to keep your dog in top form, regardless of his stage in life. This Grain-Free Chicken Formula combines chicken and carefully selected ingredients in the precise blend to balance all essential nutrients necessary for optimum health, well being and long life. Readily available nutrients in chicken go to work on the inside, resulting in less waste. Pick up a bag today and give it a try. Your dog will thank you! 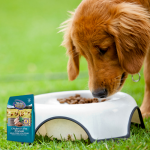 Find out more about NutriSource Grain Free pet foods on their website. Prices good December 1 through December 31, 2018, at Wells Brothers Pet, Lawn, and Garden Center.